All the buds of the plants should by now be neatly stored for drying, and the very smallest buds should even be dry enough to take for a test smoke. Two weeks further down the line and all your buds will feel or look dry on the outside, but inside they are for the most part not yet fully dry. The larger buds will need a little while longer. Let them all dry out slowly in a dark room that is large enough or is equipped with a ventilator, so that the moisture released by the buds can escape.Once the small twigs of the buds snap cleanly including those of the largest buds we can gather them all up ready for leaving to ripen so that the taste and smell of the cannabis can fully develop. Don't worry if the cannabis still smells a bit green during the first couple of weeks; some varieties do need a little more time to develop the typical, trademark smell of cannabis. In the meantime we have also let the considerable volume of leaf waste and trimmings also dry out. 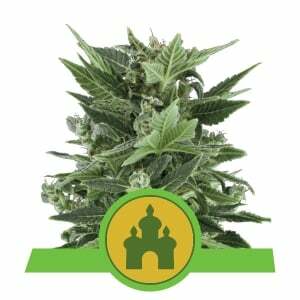 Depending on which variety you have just grown and the number of leaves this variety develops you should end up with about the same amount of dried leaf material as the weight of buds produced. Around 500 grams dry cannabis from your plants should result in about 500 grams of dry leaf, in other words. 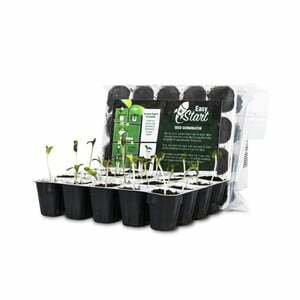 Of course, this will be a whole lot more with the more leafy varieties, and by the same logic if you're growing a variety that produces little leaf cover around the buds, you'll get less. We only gather up the leaves that obviously have THC on them, generally the leaves surrounding the THC-rich buds. We also use large leaves that have THC on them. All other leaves that have no THC on them can be separated out. This usually occurs during the trimming of the buds, when we first take off the large leaves and then trim nice and neatly around the buds. In this way you should produce two piles of leaves during the trimming. In one pile you put the large leaves with no THC while the other pile is made of the THC-rich leaves. It makes little sense to just mix the two types of leaves in together, because by doing so you will only reduce the quality of your hash. There will be much more unnecessary contamination by the not THC-rich leaves in your hash. It is very important in any case to let your leaf trim dry fully. Usually this takes longer than the buds themselves take to dry. Just 'dry' is not good enough; the leaf material must be so dry that when you take it between your thumb and finger and rub it, it just crumbles and falls apart. The drier the better and the greater the yield of hash you can expect from your leaf material. The THC crystals just come away from the leaf material much easier than when the leaves have just been lightly dried. This is when the leaf material looks pretty dried out, but it does not crumble. In this state, the leaf material gives up little to no THC crystals. Our goal is to get as many THC crystals as possible and clump them together and make ourselves a nice lump of hash. 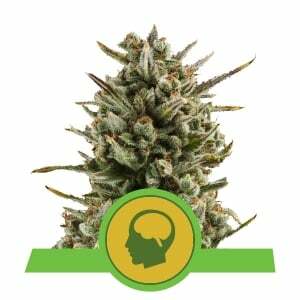 The gold- yellow powder that is on the buds has a very different effect when you smoke it pure and some smokers prefer the sweet high and effects of hash to the more stoned effect of smoking cannabis buds. Each to his own. When you roll a joint with welldried cannabis buds then you will frequently notice that your fingers become sticky with a sort of gold- yellow dust. These crystals are what I have been talking about. The nice thing about making hash is that in addition to your regular harvest cannabis buds, you also get a reasonably large quantity of hash from the same harvest. So supposing you have a harvest of 500 grams of bud, and have about 600 grams of dry leaf material left over, you can count on perhaps 60 grams of hash out of this. This 10% yield is a fair rule of thumb when using well-dried leaf waste. Naturally, it also applies here that the better the quality of your leaf material, the more crystals you will find on it, and the bigger your yield will be. So if you've grown a real white variety or another variety with a very high THC production, then logically you will get a larger yield of hash out of it. 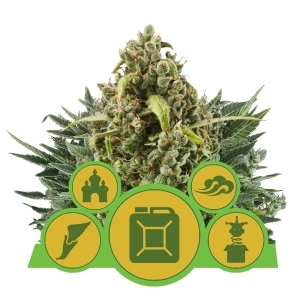 Normally you will achieve more than a 10% yield when you are growing indoor cannabis; some growers have been known to achieve yields of up to 16% or more when using good leaves. When growing outdoors there will be much less than that possible, especially with poor autumn weather, which reduces the level of THC your leaves develop and so reduce the yield well below 10%. That is why it is important not to put yourself under pressure, since there is no point in mixing 400 grams of THC-rich leaf material with 200 grams of large leaves in the vain hope that this will produce 600 grams of good leaf material. You still have just 400 grams of good leaf material. By mixing I mean that instead of just using the neatly trimmed THCrich leaves you add in the large THC-poor leaves. Of course it is lovely that whether you get a good or a bad harvest of buds you can still bank on scoring yourself a nice lump of hash. 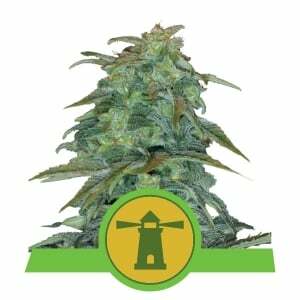 This is always handy when you have had a poor harvest of buds that are hardly worth the effort, as can happen with outdoor growing. Then you can just make hash of the whole damn lot. The principle of making hash is fairly easy and works thanks to the breaking loose of THC crystals. There are various ways in which this can be achieved. You can get a sieve and spread your leaf material out on it and then shake or let the sieve be vibrated. The sieve you use must be fine enough to hold back all the leaf material and let only the crystals through. There are also specialised hash making devices into which you put a small amount of leaf material and then shake it by hand. The newest grinders work according to the same principle as hash making. Many grinders now incorporate a small sieve that allows you to collect the THC crystals in a separate compartment, whilst the cannabis itself loses little of its power. You will be amazed at the amount of hash powder you collect or actually lose when you use a normal grinder or crumble your buds by hand. But if you want to process a reasonably large amount of leaf material then you are going to need a polinator. A polinator is a machine that uses the rotation of a drum with a sieve around it to break loose the crystals. You put the leaf material into the drum and a motor turns it around. The leaf material is shook up and down and thrown around and it is this action that shakes the THC crystals free from the leaf material. After a bit of time - 30- 40 minutes is usually enough - we can stop the polinator and scrape the hash powder into a pile, and if we are going to press this powder straight away (prior to storing it for at least a year for ripening) to get hash. This pressed powder is called skuff. The reason why we press the powder is because this improves the taste and smell. It is also easier to make a joint out of, and more easily transportable. A pressed piece of hash is easier to share with someone than a pile of sticky powder. In any case, the better the quality of the hash the less powerful the press has to be. With poor quality hash you need a press that can exert a greater deal of force because the crystals have so much contaminating vegetable matter mixed in with them they have trouble sticking to each other. As well as the material you use having to be very dry, it is also useful to give your leaf material a night in the freezer, especially if you are planning to use the polinator. The extreme cold makes the THC crystals break loose more easily. In the best scenario you would actually be able to make your hash inside a walk-in freezer or something else that allows you to keep a constant cold temperature. This would give you the very best product, but of course not many of us have such facilities to hand. But if you know someone who can make such facilities available to you, then it is well worth going to the trouble of using them. It is always a marvel to watch how much hash powder can be extracted from even a small amount of leaf material. 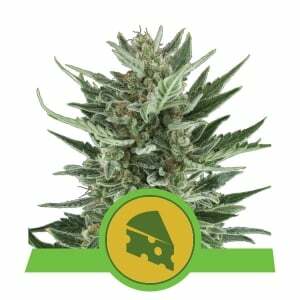 It is not necessary to polinate your buds given the quality of the leaf material, but of course if you are a real hash aficionado and don't fancy smoking your buds then go ahead and polinate your whole crop. Make sure than you first break up the buds though, so that the crystals from every corner of them can be shook loose. This will dramatically increase your hash yield. Also ensure that no twigs (or as few as possible) are left in your buds because these can damage the sieve. A piece of sieve does cost quite a bit of money, so it is more than an annoyance to wreck it. Although a polinator machine or suchlike does cost about 300-500 euros, it is an investment that will immediately pay itself off in the first harvest and hash production. It will also work well for many years without problem. 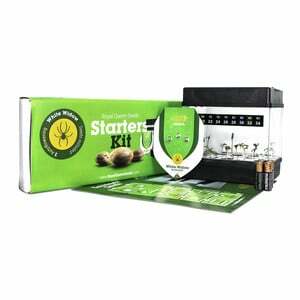 The only pre- requisite should you be thinking of equipping yourself with such a gizmo is that you need a nice amount of leaf material every few months with which to work with. There is very little sense in getting your own polinator if you only have a very small amount of leaf waste and the polinator spends more time in the cupboard than in action. The newest method of hash making in recent years is to make a 'water hash'. This works according to the same principles as polination, but uses ice cold water and churning to separate the crystals and leaf material. Making water hash is somewhat more labour-intensive than simple hash making, but the quality that you get with it is something special. To begin with, you cannot just toss it in a drum, and so you will need a bit more leaf material to work with. We need a bucket of about 20 litres capacity into which we will be plunging the special sieve bag. A water hash set consists of two or more bags into which a sieve is sewn. Each sieve has different dimensions so that one sieve lets the crystals through and the other sieve catches the crystals and so does not let them through. With many sieve bags the crystals of different sizes are caught separately. In place of one big pile of crystals in one bag, you end up with different qualities in each bag. Because the crystals in each bag differ between them, so the effects and taste of the eventual water hash differ. So the bags are placed in the bucket; lower-most is the bag that will catch the crystals and only let water through. Above that come all the sieve bags that will hold onto some leaf material and a certain size of crystal. We first fill the bucket with icecold water (in effect, around 3 degrees). The colder the better since then the crystals will break loose more easily. By putting a (food) mixer in the bucket the leaf material is beaten and this action loosens the crystals. Do not use the mixer at full speed because the idea is not to reduce the leaf material to a pulp. This will only succeed in creating a poorer quality end product. I'll advise you once again to let your leaf material spend a night in the freezer before you begin. If the temperature is not low enough in the bucket you can add ice cubes. This is unless you have a water cooler attachment for your water taps, which will generally give you water that is cold enough without having to add extra ice cubes. What you can also do is an hour before you begin to make your water hash, stick a couple of 1-2 litre bottles of water into your freezer compartment.. This water will be perfectly ice cold by the time you need it, and perfect for making a quality water hash with. Watch out that you don't leave them in the freezer too long otherwise their contents will freeze, which is no good to you. Or I suppose you can cut open the (PET) bottles and use the frozen contents instead. The simplest way to make water hash without too much hassle is to set your mixer on a timer so that it will run for 20 minutes, then switch itself off for 5 minutes before doing another 20 minute cycle. Do this for about an hour and a half. It is important to make sure that your mixer is well and truly fixed in place so that it cannot break free and wreck the whole operation (and bags). If you're happy this is OK, then there's no need to stand and watch the mixer, switching it on and off. Certainly do not use a beating attachment with sharp edges - I'll repeat: the idea is not to make marihuana leaf smoothies. The simple action of gentle agitation combined with icecold water will be enough to break the THC crystals free. It is pretty easy to see whether your leaf material is delivering or not. When the water turns a goldy- browny-yellow colour then you can be assured that it contains a decent amount of crystals in it. Since you use water extraction to make the hash there is far less contamination in your final product, which boosts the quality of the hash and its purity is increased. Water hash is also very different in its effect and power than ordinary hash. It's just something that you have to try for yourself in order to appreciate. Water hash can even be too powerful for inexperienced smokers. Not all cannabis varieties are equally suitable for making water hash from; some varieties lose some of their taste. That is why it is better to act in the same way as a wine connoisseur, so to speak, and use both methods when you are trying a new variety so that you can determine which the best method is to make hash from with this particular variety. Making water hash is an experience in itself, and that moment when you first haul the final bag out of the bucket remains a magical one, as you shake it back and forth before opening it and there are the yellow crystals lying there in a pile. It is also true when making water hash that the drier the leaf material the better the harvest of crystals you can hope for. On the other hand, the quality will be slightly lower. The advantage of making water hash is that you can get to work even with fresh, un-dried leaf material. 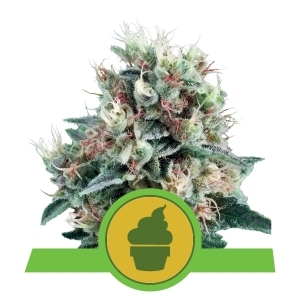 The yield when you use fresh leaf trim is quite a bit lower, but what you get is of very good quality because you get less leaf contamination than if you use dried leaf. Man is essentially a creature of leisure, and one of the drawbacks of the whole 'working with ice' routine, if I can call it that, is the difficulty of securing the mixer safely. So you can't just suddenly decide 'oh, I think I want to make some water hash', but must always first find yourself a suitable mixer that will operate safely in this context. This can discourage some growers meanwhile from even trying make this excellent variety of hash. The company that makes the Polinator has recently released the Bubbleator on the market, which is designed to make water hash quickly. The Bubbleator is in effect a mixer and looks like a small washing machine. You just bung your leaf waste into one huge sieve bag that you then put inside the Bubbleator, which you then fill up with ice cold water, and by just cranking a handle you can churn the mix for 15 minutes. The advantage of the system is that you don't have to search for a suitable domestic mixer and everything is done with much less fuss and mess. You just let the Bubbleator run itself empty in your sieve bags and you're left over with the desired crystal pile. I reckon the Bubbleator will convince many new growers to give making water hash a whirl by cutting out the annoying Hunt the Mixer game. You can buy the Bubbleator separately or in a deal that includes ice-o-lator bags.The real hash-lovers leave their hash at least a year to ripen before they even think of consuming it. It is certainly worth you stashing at least a part of your harvest away. If you do this every year then you are soon going to build up a supply of fantastic quality hash.